Recent research has demonstrated the anti-aging properties of gold which, when applied to the skin thanks to manual massage together with dedicated carriers, penetrates into it deeply, filling out wrinkles, reducing eye-bags, neutralising spots and conferring a peerless sheen to the complexion. But this is not all. 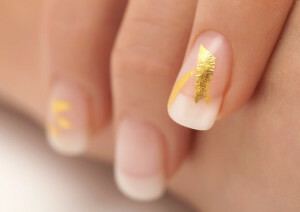 For gold in the cosmetic field may also be used to decorate one’s body. In fact, in the first place, nails, lips and eyelids receive an aesthetic revamp which reveals elegance and sophistication with this noble material. Thanks to the custom-researched products by MBB for beauty parlours and SPAs, everyone nowadays can experience with one’s body those properties of gold previously discovered in the past by the ancient Egyptians and by the Maya and Aztec civilizations. Booklets containing-4 leaves 24K 40*80 mm ad uso estetico per trucco. 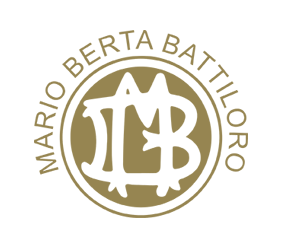 11 leaves each gold 24K 40*80 mm cad. + 2 flaconcini di creme vettore da 15 ml. Booklets containing-4 gold leaves 24 Kt 40*40 mm ad uso estetico per unghie.